Home / CT Scan / MRI vs. CT Scan: Which will your doctor prescribe? MRI vs. CT Scan: Which will your doctor prescribe? When it comes to your doctor deciding on an MRI vs. CT Scan, it will be based on your medical condition and what your doctor needs to know in order to make a diagnosis or prescribe treatment. A computerized tomography (CT) scan use a series of x-rays that are taken from a variety of angles and are put together to examine parts of the body that may otherwise not be visible to the doctor. CT scans are primarily used to detect internal injuries such as damage to bones, blood vessels, or other soft tissues in the body. These injuries primarily come from things like trauma from sports, car accidents, or other high-impact physical events. Through a CT scan, the doctor can see virtually any part of the inside of a person’s body to determine where the damage occurred and to what extent. MRI vs. CT Scan – What’s the Difference? A CT scan is similar to an MRI in the sense that both take very detailed images of the inside of the body through a series of detailed pictures. CT scans are actually just sophisticated, powerful x-rays that take 360-degree views of the inside of the area doctors want to see in a more detailed way. These areas include vital areas of the body like the spine and vertebrae. MRI’s, on the other hand, manipulate magnetic elements to take very detailed pictures of the inside of the body. Images are viewed in “slices” or specific sections of the area being photographed. MRI’s are often used to diagnose diseases that affect joints and bones. 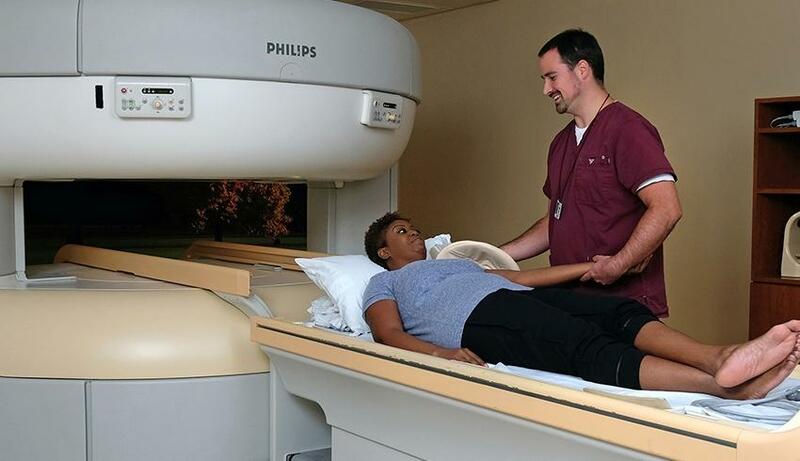 Learn more about the state-of-the-art services offered at Medical Imaging of Fredericksburg.